1. 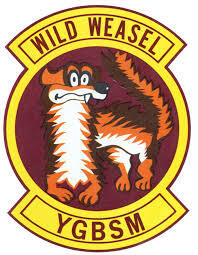 U.S.Armed Forces: A military member that actively participated in the Wild Weasel (WW) Hunter-Killer Mission or contributed to the WW program, concept, or mission. 2. Industry: Made unique contributions to the WW program, concept, or mission as a contractor. 3. Civil Service: Contributed to the WW program, concept, or mission as a U.S. Government civilian employee. 4. Other Organizations or Individuals: Supporters of the WW program, concept, or mission other than those defined above, as determined by UNANIMOUS VOTE of the Board. 1. Life Member: Active member that has paid life membership dues. A WW who becomes a Prisoner of War (POW) during the execution of a WW Mission is automatically a Life Member. 2. Active Member: Dues paid through the current year. 3. Inactive Member: Dues in arrears more than six months. Honorary Member: Individuals that have an interest, belief, and support the SOWW and WW Concept but do not qualify for Regular Membership. Selection requires unanimous vote of the Board. Surviving Family Member: Family members of a deceased member, eligible to participate in SOWW functions.